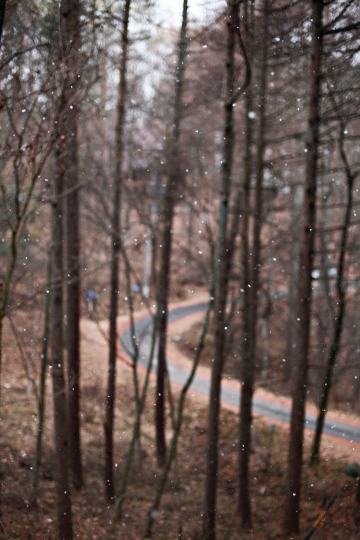 ...well, just a few flakes. But still. ...not really real, maybe, but more real, see. It only lasted for a few hours and was mostly gone before the end of the day, but at least we enjoyed the pretty view in the morning. 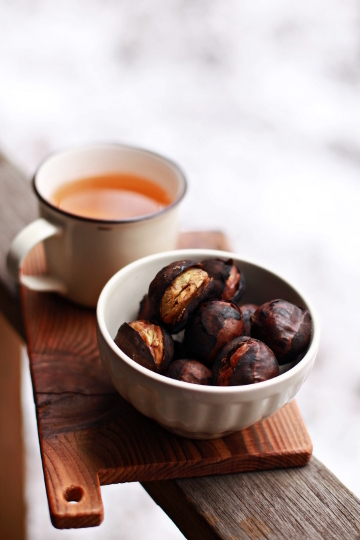 Roasted chestnuts and hojicha tea, both of which happened to be from Kyoto. These large, sweet roasted chestnuts are delivered frozen, and all you need to do is to warm them up nicely. This may not raise your Holiday spirits like roasting raw chestnuts on your own, but it's really handy to have them around; besides, we don't get raw fresh chestnuts in mid winter, so this was as good as I'd get as far as the roasting-chestnuts-at-home-as-a-winter-snack mood was concerned. 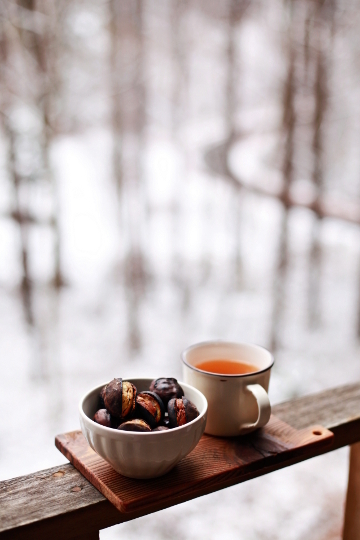 And by the way, we did NOT eat outside - after a few quick snaps on the balcony, I hastily went inside and re-heated the chestnuts and tea while warming myself up. 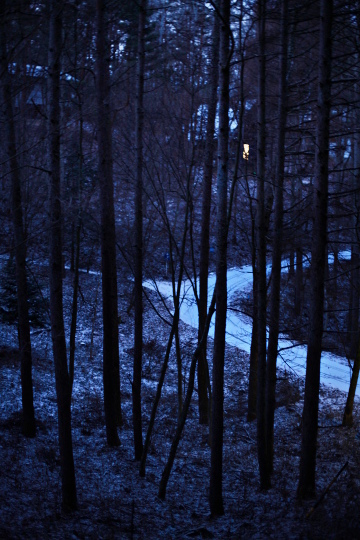 This was about seven o'clock in the morning, and our street was still track-free. 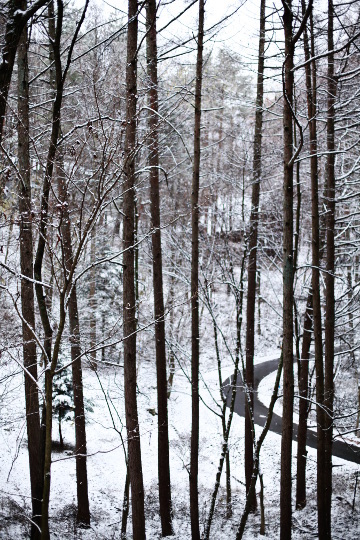 The snow had stopped and there was only a dusting of snow, but it was very quiet (even quieter then normal, which is really quiet) and and very pretty, I thought. 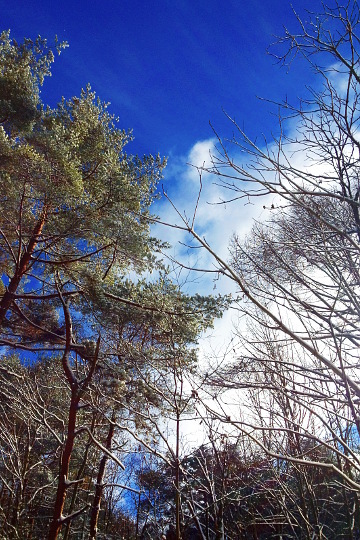 By nine or ten o'clock, the sun came out and created a striking contrast of blue skies and white snow. 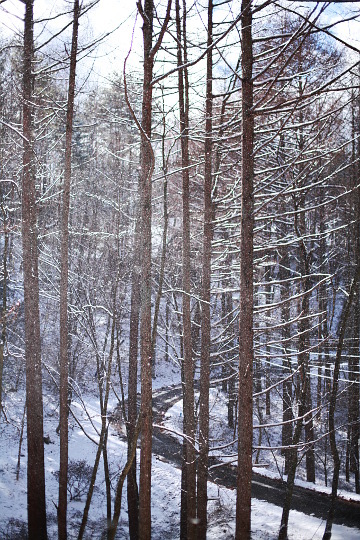 And the occasional winds blew up the snow off the ground, making it look like a blizzard (in the sunshine!) for a few seconds. 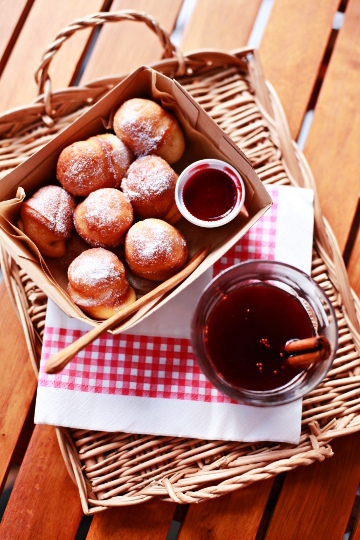 The mid-morning snack of the day was a basket of aebleskiver, a type of Danish pancakes, fluffy balls served or filled with berry jam. I'd made a quick trip to Tokyo earlier that week, and brought a few things back home. 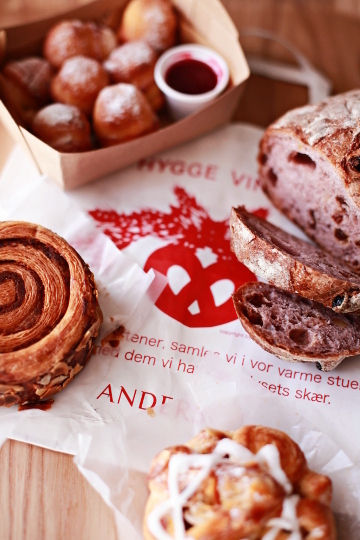 These pancakes were one of the things I got from Bakery Andersen. 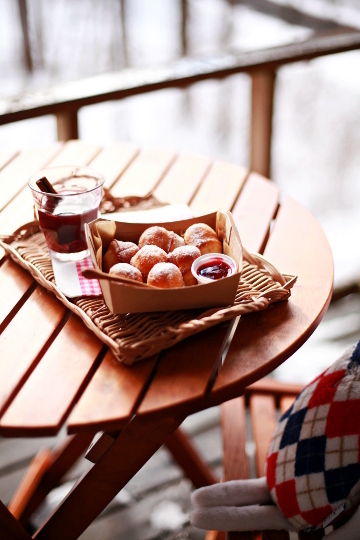 I got some Christmassy bread and pastries, but I was particularly excited to see the aebleskiver there, as I'd never seen one before in Japan. They reminded me so much of my visit to Copenhagen two winters ago when the whole place was extra pretty in its Christmas decorations. Caramels and macarons from Henri Le Roux, from Shinjuku Isetan department store where they have the first of their Japan locations. 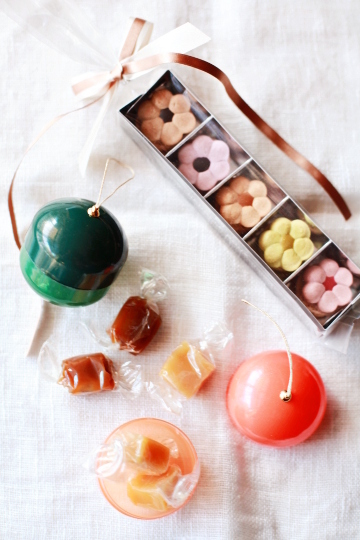 The caramels, Orange Gingembre (orange-ginger) and Épices de Noël (Christmas spices), came in Christmas baubles for a bit of festive feel, while the little macarons sandwiches with flavored caramel fillings were flower-shaped, which wasn't exclusive for the holiday season, but still pretty. Back to aebleskiver: I warmed up the pancakes and freshen them up with a dusting of confectioner's sugar. And to fully relive my Copenhagen experience where I'd had my aebleskiver together with glogg (mulled wine), I thought I treated myself to a glass of warm glogg, even if it was in the mid morning. 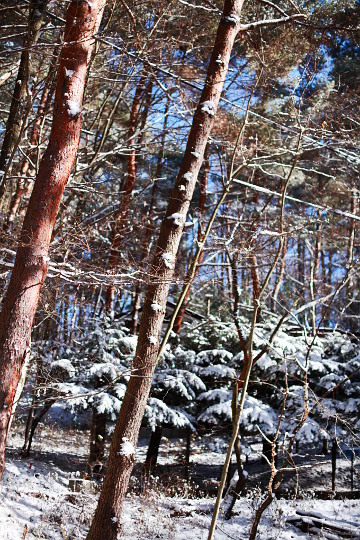 This time, some of the snow remained for the following week in spots with less light, despite of the sunny and relatively warm days. 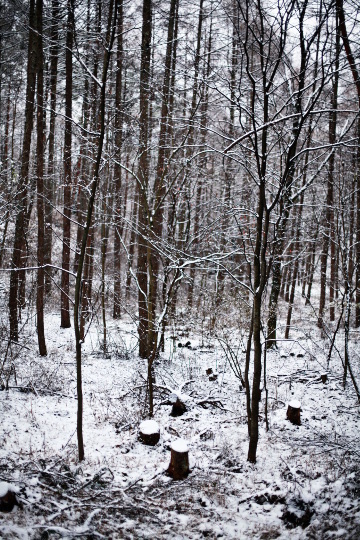 And on Friday the 16th, we had yet another snow - even though it lasted for about three minutes. ...snow of sugar on little scones, that is. 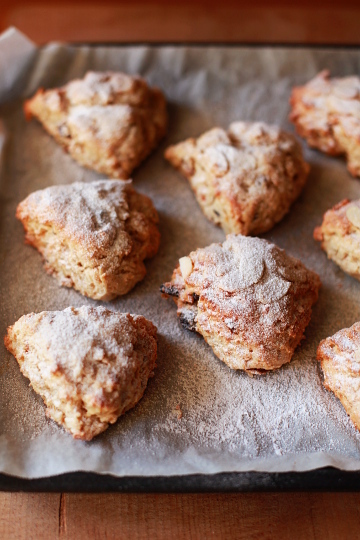 Covered with a thick coat of snow were stollen scones, which I have been experimenting with over the past few weeks. It was at the beginning of November and we were at a Starbucks for a coffee and a small bite when I first saw their stollen scone, one of their seasonal products. I tried one, not expecting anything much better than a spiced, fruited scone dusted with sugar. And I was surprised to find out it was pretty decent, and that it actually tasted like stollen. More than anything, I liked the idea of scones that taste like stollen so much I decided to try and make some on my own. It took me a month to actually getting down to it, but since the beginning of December I've tried to re-create the stollen scones - or rather, create my version of them, trying a few different recipes and tweaking them here and there. The one I had at Starbucks was of a rich, cake-like type, rather than bread-like. I tried to figure out what made the scone taste like stollen; dried fruits, nuts, and spices for the flavor, of course, and perhaps ground almonds and eggs to make a rich dough. Also, the dusting of sugar seemed crucial, a bit like what makes doughnut muffins taste like doughnut: dipping the baked muffins in melted butter and rolling them in cinnamon sugar. It turned out that they, according to the Starbucks website, contain ground almonds, cinnamon, and cocoa in the dough, and are mixed in with orange peel, lemon peel, raisins, and apples stewed with rum and brandy, as well as almonds, cashews, and walnuts. 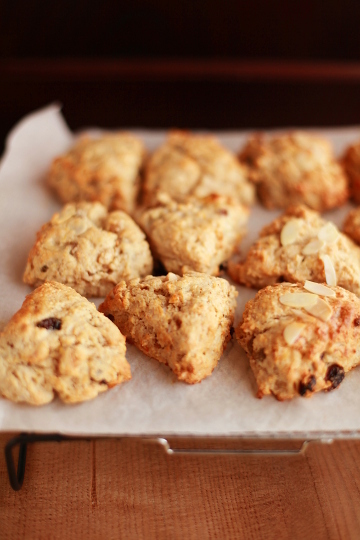 I began by searching recipes for almond scones on the Internet. I did look up stollen recipes too, and actually there were a quite a few of them when I searched them in Japanese; pretty much all of them were apparently created inspired by the Starbucks stollen scones, just like I was trying to do. 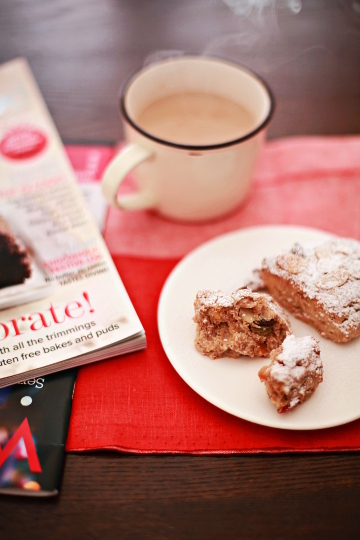 I've also checked several recipes for real stollen, to see what they usually have in them. 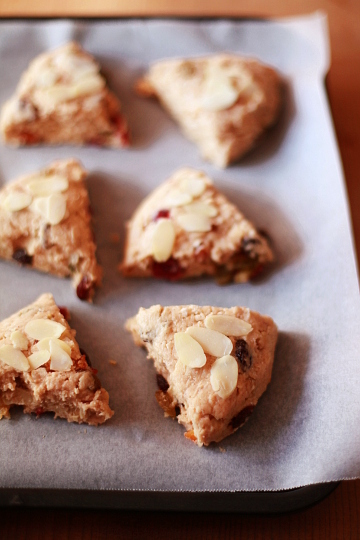 Eventually I found these recipes for almond scones, one with ground almonds and the other with almond paste. I have tried a few other recipes out there, too, but these two were the ones that I based my recipe on. Started with these two recipes, I basically added a few types of spices in the dough and threw in a bunch of dried fruits and candied peel soaked in rum, along with some toasted nuts. I tried adjusting the amount of flour a bit, and also tried using butter milk instead of milk, etc. In any case, I slathered the hot scones right out of the oven with melted butter and dusted thickly with confectioner's sugar. I must have baked these scones nearly ten times over the period of two weeks, often two batches at a time by halving the recipe and using ground almonds in one half and almond paste in the other. Every version turned out pretty good - as a spiced fruit and nut scone, that is. But some were more stollen-like than others. So I kept on with my little experiment to nail it down, even though I was a little unnerved by the rate at which butter disappeared in the house. I suppose it was lucky for me that nobody seemed to mind scones for breakfast and snacks almost every day. In the end, I settled on more or less one recipe, using almond paste or ground almonds. We all seemed to prefer versions with almond paste, but I wanted to be able to make them with ground almonds, because they were more readily available and certainly less expensive. In fact, these almond-based ingredients seemed to be a key to a stollen-ish flavor of the scones. For the almond paste part, I was a little confused over the difference between almond paste and marzipan; I ended up using German marzipan, which contains more almonds than sugar (two parts almonds and one part sugar), and is different from some other types of marzipan such as those used for rolling and crafting. This gave my scones an unmistakable almond flavor and a moister texture, not to mention an extra sweetness. Ground almonds, meanwhile, appeared to make a slightly more bland scone compared to German marzipan. First I used regular raw almond meal, and then tried Sicilian almond meal I got from a specialty baking supplies store, and this made a striking difference to the finishing product - the scones made using this extra-flavorful almonds tasted almost like the ones with marzipan. So below you'll find the version(s?) of stollen scone recipe that I have eventually settled on, using either German marzipan (or almond paste if that's what you have) or ground almonds. With either of the two, I go a little flexible with the amount - more marzipan/almond meal for a richer, softer scone with more pronounced flavor of almond, or less of them for a milder-tasting scone with a more manageable dough. Either way, try to use the best quality ingredient you can find, such as pure almond paste and ground almonds made of marcona almonds from Spain or Sicilian almonds, as it will make all the difference. The same goes for other ingredients, especially butter - if you have some good European cultured butter, this is a recipe you'd want to use it in. Admittedly, the ingredient list is rather long, but that's mostly because the recipe involves a variety of dried fruits, nuts, and spices. Once you have all of them ready, putting together the dough is a breeze, just like most scone recipes. These scones are best eaten completely cooled, a few hours after baking or on the following day. The fruits should preferably be prepared the day before you bake the scones; alternatively, briefly heat the fruits combined with the liquor in the microwave, and leave them to cool before adding to the dough. Please note that I measured most of the ingredients by weight, in grams; US standard measurements (i.e. cups) are given only as a guide. To prepare the fruits, combine the raisins and chopped candied orange peel with the rum in a small bowl, and toss well. Cover and leave at least for a few hours or preferably overnight. Preheat oven to 400F/200C. Line a baking sheet with parchment. To make the dough, in a large bowl combine the all-purpose flour, baking powder, salt, cinnamon, nutmeg, cardamom, and brown sugar, and mix well. Rub in the cold butter until the mixture is the consistency of fine meal. 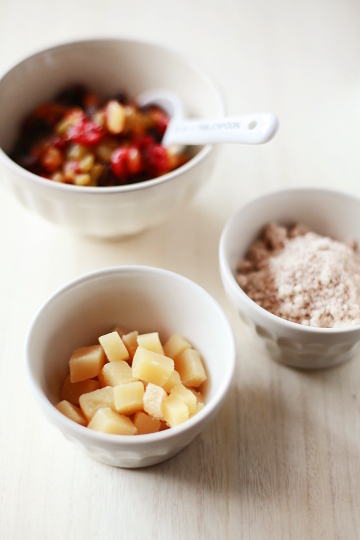 Rub in the cubed marzipan until it resembles coarse breadcrumbs, OR stir in ground almonds and mix well. Combine about 100 ml of the milk with the beaten egg, vanilla extract, and zest of lemon. Make a well in the center of the dry ingredient mixture and pour in the liquid ingredients. Using a rubber spatula, stir the mixture a few times. Add the soaked fruits and toasted nuts, and mix until just combined. The dough will be soft and a little sticky - if it is too dry, add the remaining 20 ml of the milk; if it is too sticky, add a little more flour. Do not overmix. To bake the scones, divide the dough in half and shape them into balls. Pat each to form a round disk of about 2.5cm / 1 inch thickness. Cut each disk into six wedges and place onto the prepared baking sheet. If the dough is too sticky and difficult to handle, scoop out about one-twelfth of the dough (about 2 Tbs.) and place directly onto the baking sheet, and form it into more or less rounded shape. Bake in the preheated oven for 13-18 minutes or until the scones are golden brown. To finish the scones, melt the butter for topping while the scones are baking. When they are done, remove the scones from oven, and immediately spoon the melted butter over them, about 1/2 tsp. per scone. 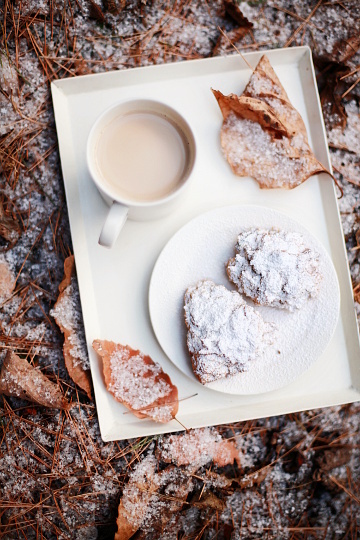 Dust thickly with confectioner's sugar, and leave to cool completely. 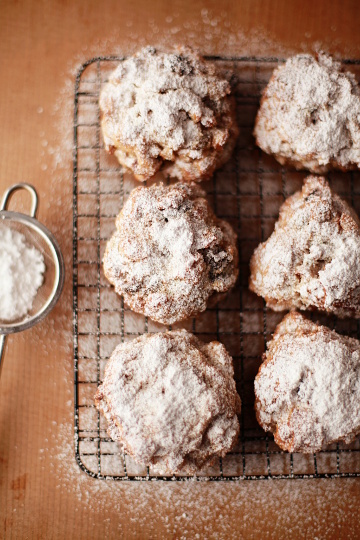 Serve the scones at room temperature, with a thin dusting of some more confectioner's sugar. 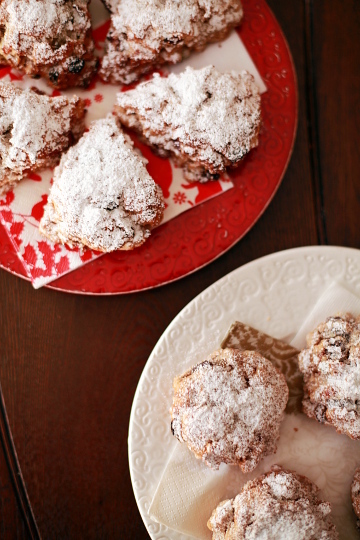 recipe inspired by stollen scones from Starbucks Japan; partially adapted from this and this. Combination of dried fruits and nuts are up to you; sometimes I add some dried cranberries and chopped pistachios (in addition to the fruits listed above) for a festive touch. Baking time vary considerably among different ovens, but it should be give or take 15 minutes. Check them after ten minutes into cooking. Make sure to finish the scones right out of the oven and while they are very hot. As I mentioned above, these scones taste best when they are completely cooled, rather than warm fresh out of the oven. So if you plan to have them for breakfast, it's best to bake them the night before. They keep for a few days at room temperature (stored in a ziplock bag), or longer if frozen, individually wrapped; bring them to room temperature before serving. So these 'snow-covered' scones have been around almost every day for the past few weeks, with or without snow outside. 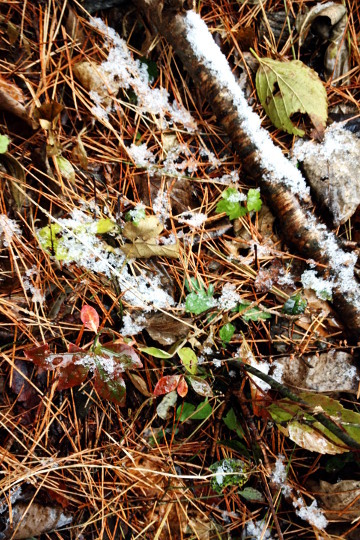 And they did look extra pretty with snow, for sure, like these dry, large snow crystals that stayed for just a few hours before disappearing. 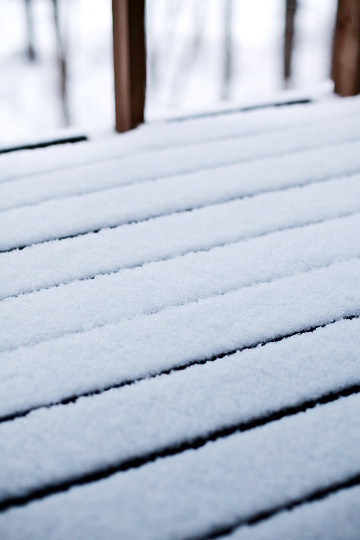 Earlier this week we had a bit of snow in the early hours of the morning. 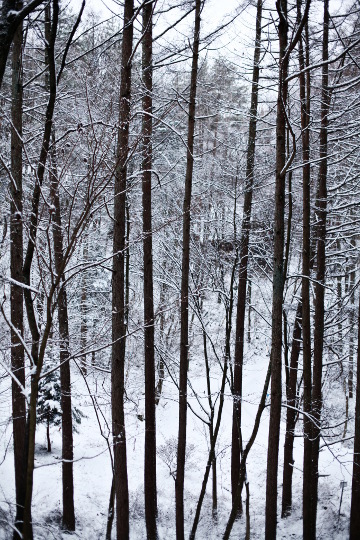 I woke up unusually early (at about 6:30am, which is really early for me to wake up) when it was still dark and very quiet outside. It was beautiful. 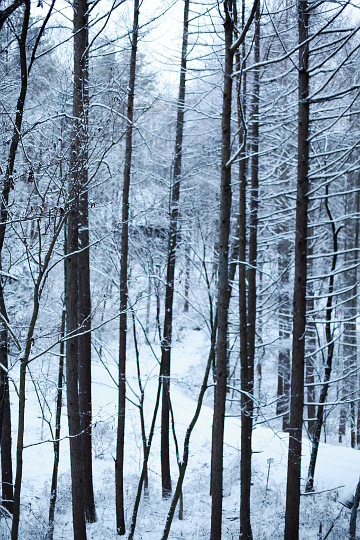 And another weekend is here and we have snow forecast, though it hasn't started yet as of Saturday evening. 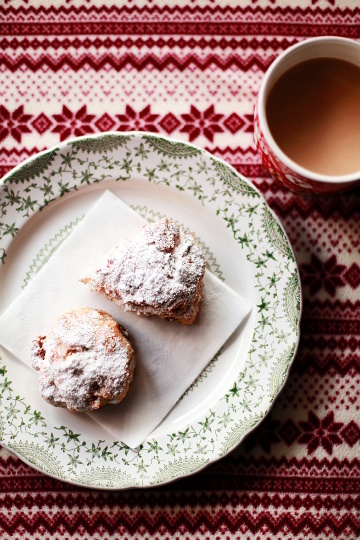 So we may or may not have White Christmas, but either way we have these snow-covered scones on the table. I have been making a couple of other Christmassy things this month, like these and these, which I hoped to write about here, but it looks like my time is up as it is already Christmas Eve here. Maybe next year. 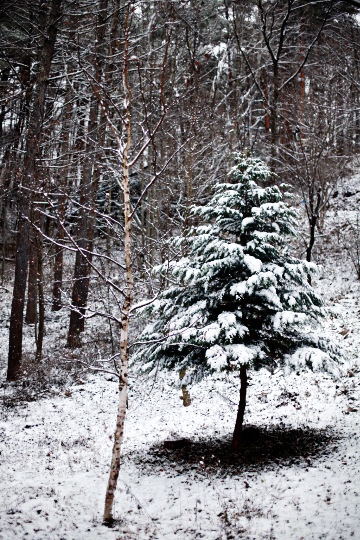 I wish you a very merry Christmas, and I hope you are all having a lovely time over this Holiday weekend, with or without snow. I am hoping to come back here before the end of the year, but if not, well, I wish you a very happy New Year too. Dearest Chika, I simply loved your blog to bits and have linked it to my blog. Thank you for the beautiful photos.. Am inspired. 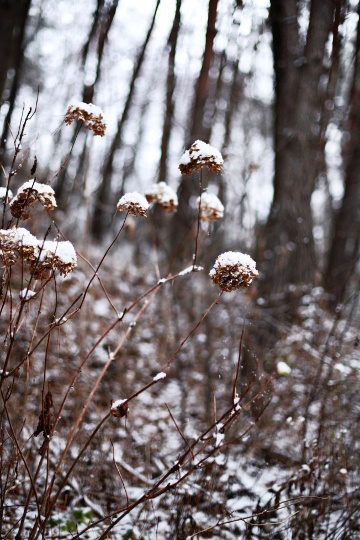 I adore your photos - they're so wonderfully evocative. 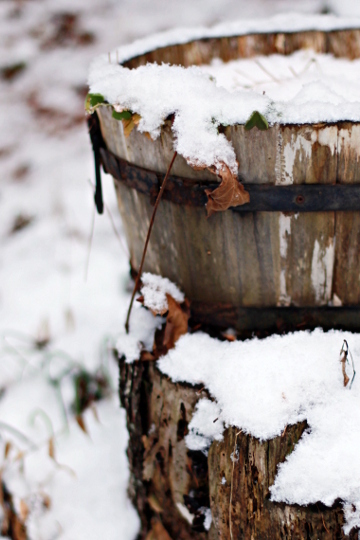 I can't wait for our first snow in Boston - it's later than usual! After trying the panettone muffins from King Arthur flour website, I will surely try these scones...The have all that I like inside them. 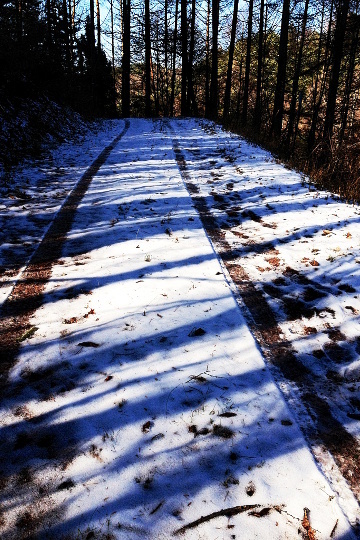 Magical images, thanks a lot for sharing them with us. I'm really impressed with the diligence of getting the perfect stollen scone. I remember another young girl blogger who tried so many scone recipes until she found what to her was the perfect one. I tried it and love it and unfortunately, can no longer locate her website. But it's people like you and her who make our lives simpler, so thank you. I've got it bookmarked. I've just passed my "spiced goods" threshold for now .. we made Kim Boyce's gingerbread cake twice and lots of yummy gingernut cookies from Rose Bakery's book. 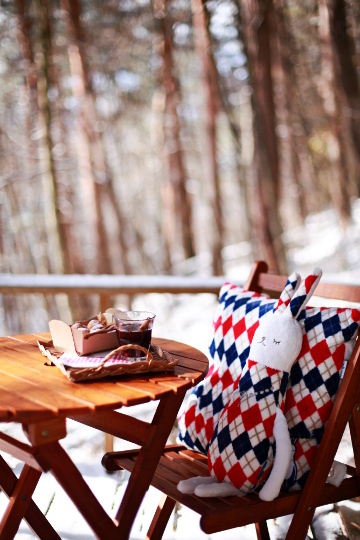 There really is not much snow here in Karuizawa this winter, isn't it? 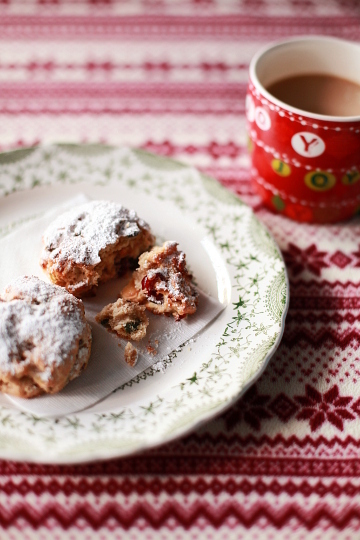 Love your Stollen-scones, might try them sometime. Fyi, Marzipan contains some bitter almond essence (or something like that) as well, that's why it's hard to make your own..I made "normal" Stollen as I know it from childhood, no marzipan, but am totally open for variations. And hot wine is a must for sure. I usually stretch the spiced wine with some orange juice, but a danish friend of mine told me he usually "powers" it with rum/vodka and berry liceur!